The theory is to be believed, the Relativity distance driver is now available in Proton plastic! 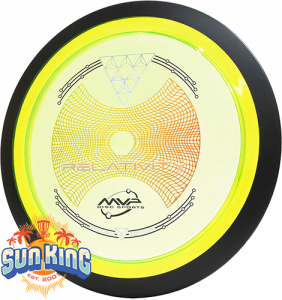 The Relativity is the most understable 24.5mm distance driver in the MVP lineup and debuts this large-rimmed class in the translucent Proton Plastic. 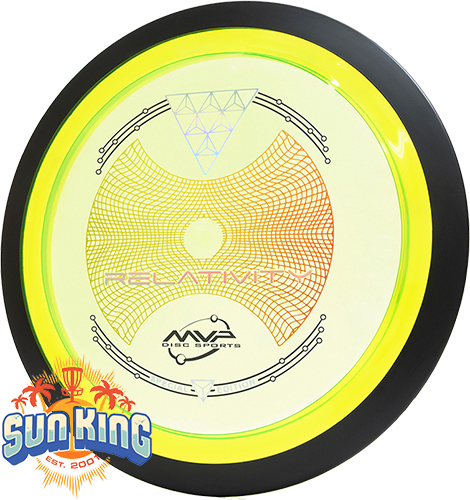 Known for its controllable turnovers, rollers, and sky-anhyzer lines, this disc is a perfect fit with the added grip and durability of Proton. The large rim width is designed to resist unwanted turnovers while maintaining a high amount of speed and glide that stretches distance lines. Get ready to manipulate time and space with the Proton Relativity! MVP's Proton material features high durability for a long consistent life designed to withstand the roughest conditions. Proton is available in a wide variety of transparent candy colors. Note: This Special Edition triple-foil stamp bends the fabric of reality with its symmetry and geometric patterns.